Mules are hybrids within the animal kingdomthe infertile offspring of male donkeys and female horses. Baby mules are more playful and curious than their other equine cousins, and the mature mule is one of the most fascinating, yet often underappreciated, creatures in the world. 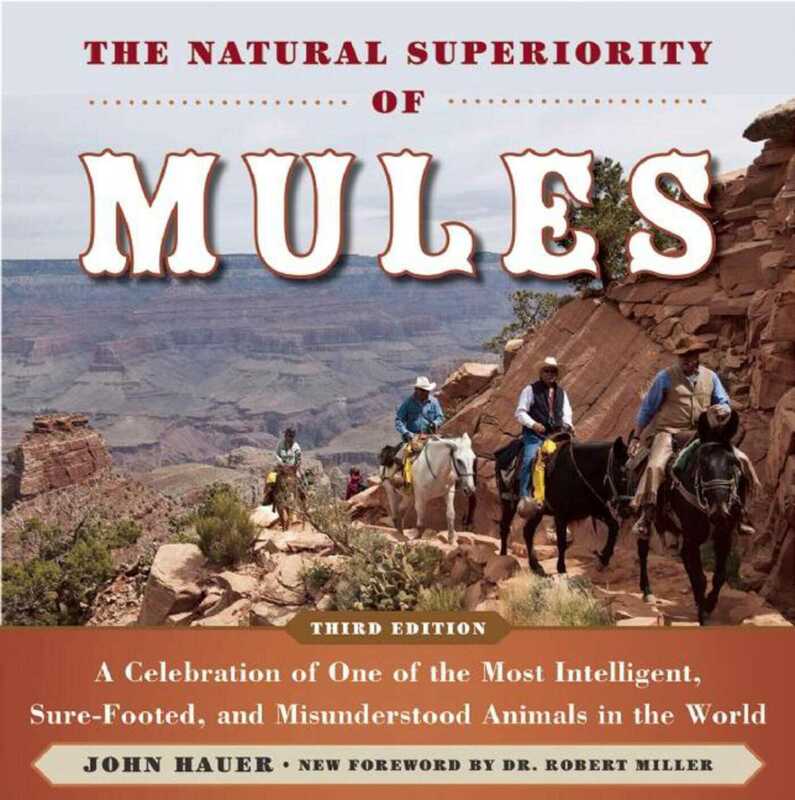 In the first paperback edition of The Natural Superiority of Mules, distinguished rancher John Hauer celebrates these magnificence of the mule through essays, articles, stories, and over 150 beautiful full-color photographs. The pieces in this collection draw attention to many of this hybrid’s most impressive characteristics, including its strength, grace, and loyalty, was well ashile other sections are dedicated to mule genetics, mule training, and mule history. Contributors to this distinct collection range from recognized professionals in the equine community to those who have recently purchased their first mules. These experts and aficionados include Janet Lowe, Betty Robinson, Robert M. Miller DVM, Sena Hauer, and more than two dozen others! Mule lovers will be enchanted--and horse lovers just may be converted--by these tales of the stamina, intelligence, loyalty, and common sense displayed by the average mule.